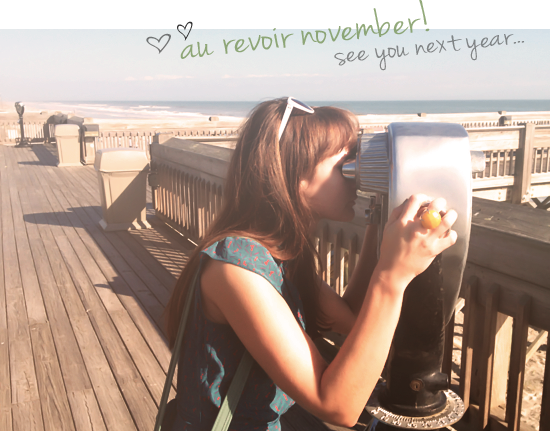 Today we bid November a fond farewell, and tomorrow we wake up in my favorite month of the winter season. If you're a regular reader, you know that I'm not exactly winter's #1 fan. December, however, is my exception. I'm busier than ever with work, but I appreciate the downtime so much. There's something so warm and comforting about decorating for Christmas, making gifts and going shopping, and the rare-but-so-appreciated evenings where I sit by the fire with Robbie and Bubby dog and do absolutely nothing. Before I jump into December though, let's give November a proper send-off with this recap of my 8 favorite posts from this month. Just click on the images or links below to check them out! 5 Ways to Beat Creative Burnout and Get Inspired! Bye Bye Long Hair. Hello Locks of Love! Need An Inspiration Boost? Watch These. I hope your November was absolutely amazing in every way. What are you looking forward to in December? Tomorrow = Announcement of Blogiversary Giveaway winner! I love these recaps just in case I missed one :-). The creative burnout and DIY decor are my favorites. I am happy it is soar December bc I love christmastime!! All the holiday baking I'll be doing.